I’ve always had a fear of writing, it stems from my school days…poor grades in English and never quite feeling natural when it comes to translating my thoughts onto paper. I decided to set myself a challenge 2 months ago. Write my first set of blogs, I didn’t have a specific number in mind, or an end goal, I just wanted to overcome my fear. As a creative person I find committing to tasks really hard, the moment I have one idea another flies into my head, indecision is one of my biggest challenges. So this challenge was simple, write some blogs, put myself out there, see what happens. Step 1 — WTF do I write about? Well, the last 18 months I’ve been building a Facebook community in the Jeep niche, I have over 1.4 million fans and I’ve learnt a lot about Facebook growth hacking & how to monetize social audiences. I wrote 2,000 words about my journey, how it started, how the community built so fast and went into detail about the strategies I used. It took me hours to write but it was worth the effort. 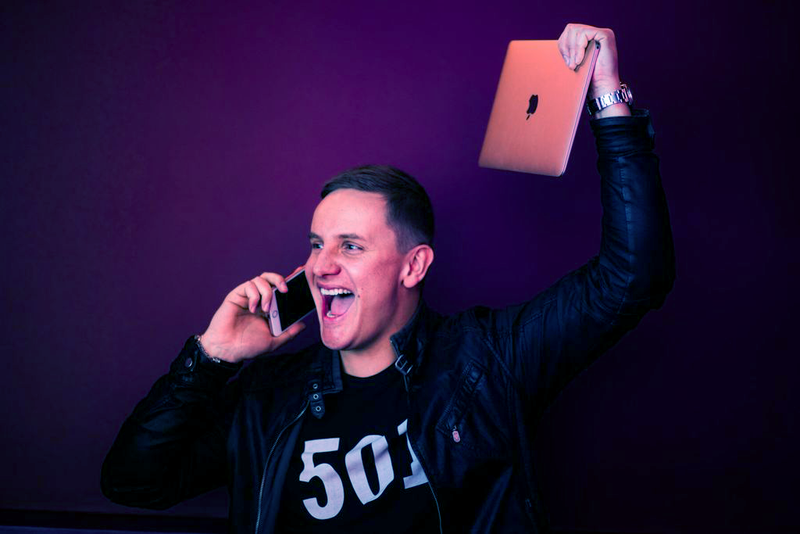 My plan was to begin offering my services as a growth hacker, in my blog I wrote about how I used Facebook Groups to build my Jeep following, why not use my blog to launch myself as a growth hacker? 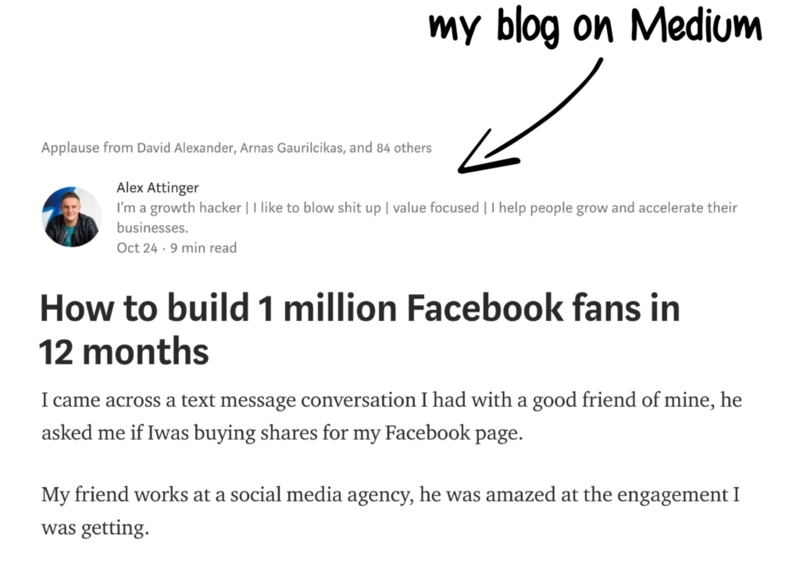 After 24 hours of the blog being live on Medium, I quickly added a content upgrade to direct users into my funnel. 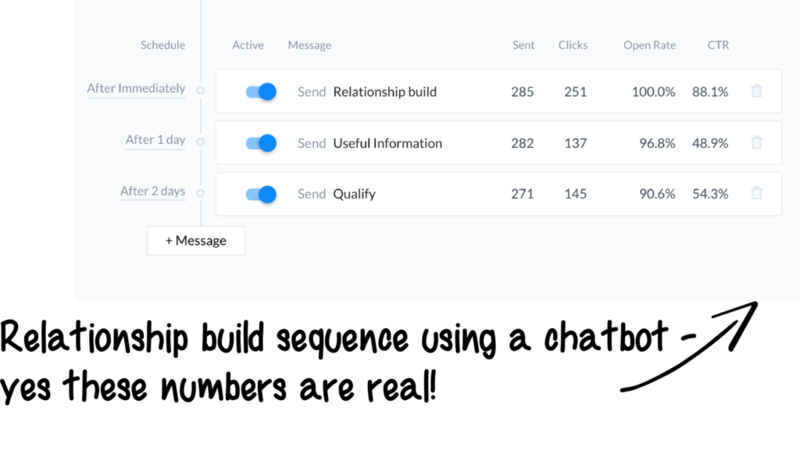 The content upgrade took users into Facebook Messenger where I developed a “relationship funnel”, a sequence of messages spread over 3 days designed to build a relationship (on autopilot). I would then qualify them, book a strategy call and convert them into clients. Facebook groups helped me build my Jeep following so I decided to use the same strategy, practice what you preach, right?! I built a list of 20 groups that I wanted to target, adding them into a spreadsheet to stay organized (rare for me). I joined 10 of them and began engaging with each group, posting questions and answering anything I could. Tip: Hosting the blog on Medium.com rather than your own domain builds trust. The next 2 weeks I gradually shared my blog across a number of groups and watched my traffic grow & my Facebook Messenger leads increase. My read ratio was 32%, it was a 9 minute blog so that felt like a decent number. 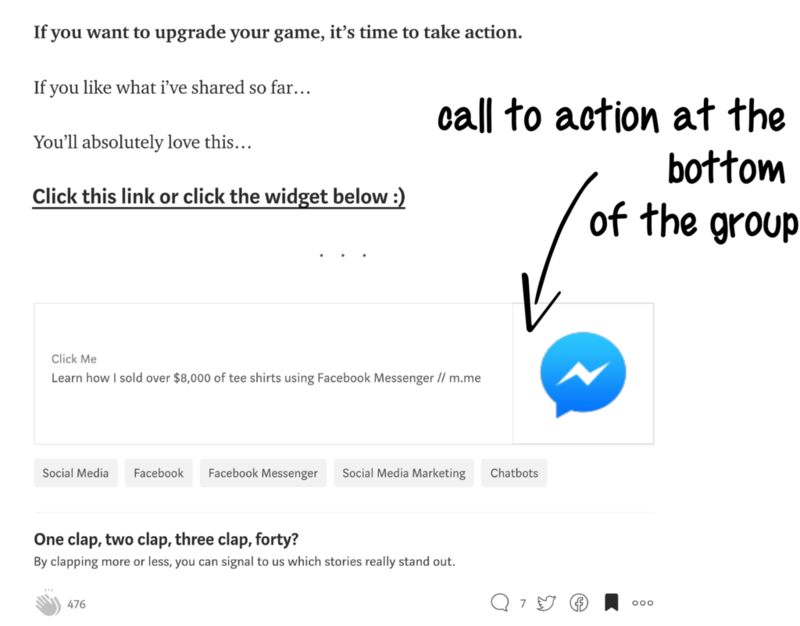 Here’s the exciting part, of the 2,800 completed reads, 285 people clicked my content upgrade and entered my relationship funnel within Facebook Messenger. That’s a conversion rate of just under 10%, industry average is 1–3% & anything north of 5% is a great result…I was happy! My Messenger funnel went into more detail about how I used chatbots to monetize my Jeep audience. You can see my open & click rates above, pretty good right? 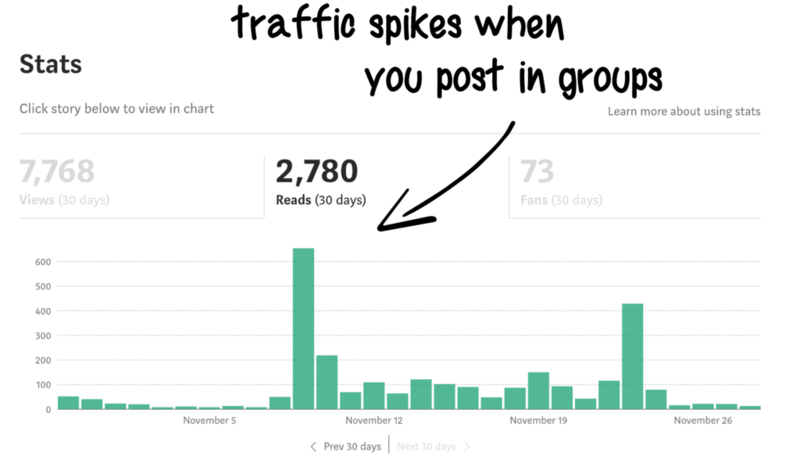 Well the funnel generated 145 qualified leads and over $13,000 in revenue for my growth hacking services that I decided to launch 2 weeks before this blog. The leads are still maturing so I expect this number to rise. The lesson from this exercise? 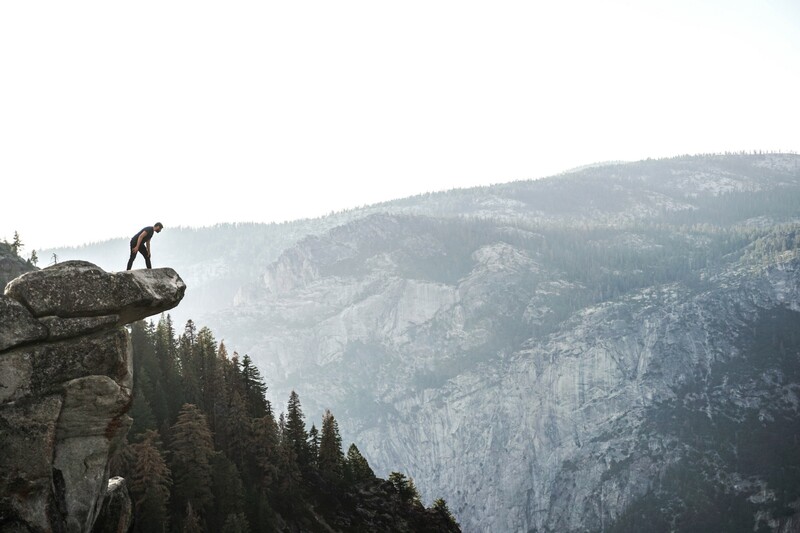 Face your fears, it will be ok and if not, keep trying…it will work out in the end. Click Here if you need MORE leads for your business. I teach people how to get attention online. I work with brands, agencies and solopreneurs. I help them generate revenue and build a following.